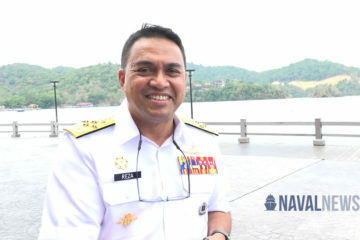 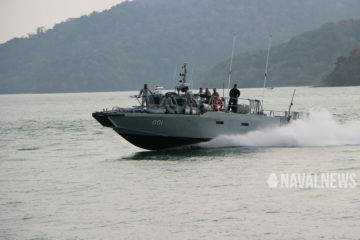 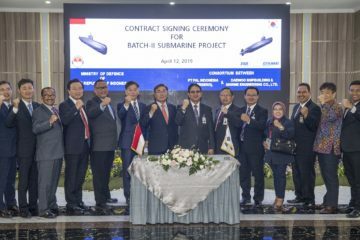 You are at :Home»Posts Tagged "Submarine"
Indonesian state-owned shipbuilder PT PAL launched the first diesel-electric submarine built in Indonesia on April 11, 2019 in Surabaya. 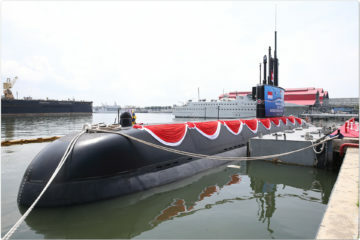 The Alugoro (405) is the third of the Nagapasa-class submarine (also known as the DSME 1400 design or Improved Chang Bogo-class) for the Indonesian Navy (TNI AL). 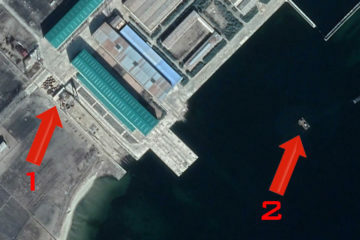 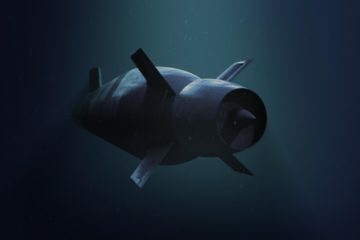 North Korea may be building a new submarine capable of deploying submarine launched ballistic missiles (SLMB) South Korean newspaper "Chosun Ilbo" reported today. 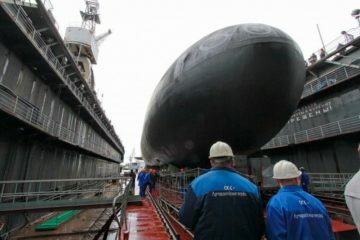 The first Project 636.3 (NATO designation: Improved Kilo-class) diesel electric submarine (SSK) for the Russian Navy's Pacific Fleet was launched on March 28, 2019 in St. Petersburg at JSC "Admiralty Shipyards" (a member of united shipbuilding corporation OCK). 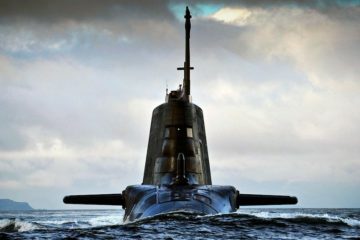 According to an announcement published by the European Ted online platform, the UK MoD Maritime Combat Systems (MCS) Team awarded Thales UK a £64 million (US$84 million) contract for Astute-class submarine sensors support. 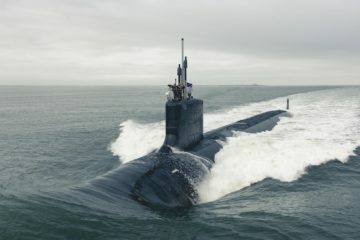 The Japan Maritime Self-Defense Force (JMSDF) commissioned its 10th Soryu-class diesel-electric attack submarine (SSK) in Kobe in Hyogo Prefecture on March 18, 2019. 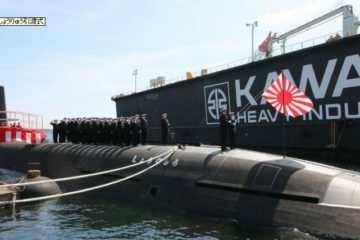 JS Shoryu (SS-510) joins the JMSDF’s Submarine Flotilla 1, based in Kure. 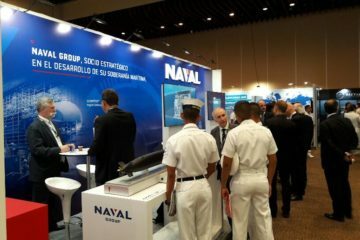 Naval Group is significantly increasing its multi-domestic presence in Colombia and Latin America to strengthen its long-lasting cooperation with the navies in the region, the French shipyard announced on March 13 at the Colombiamar exhibition, held from 13-15 in Cartagena de Indias. 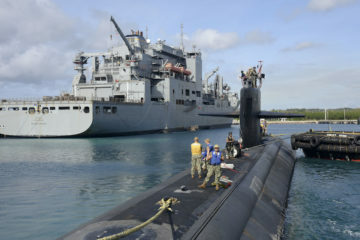 USS Oklahoma City (SSN 723) conducted a mobile logistics demonstration with the Lewis and Clark-class dry cargo ship USNS Cesar Chavez (T-AKE 14), March 11, in the first of many evolutions designed to evaluate supply ships’ ability to sustain submarine operations in an expeditionary setting.